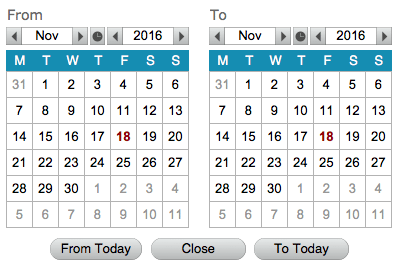 CalendarBOX is a free customisable date-picker for FileMaker Pro. Use CalendarBOX within your own solutions to select dates via a pop-up window or use the code to incorporate the date picker within your own layouts. Choose from a single date picker or a date range picker which is ideal for reports. CalendarBOX is an unlocked FileMaker Pro file, allowing you to modify it any way you please and include it within your own FileMaker solutions. CalendarBOX is easy to use, easy to install and requires very little scripting.